Dare you to dip your veg sticks into this spciy red dip made from - bbbbbb ... beetroot! An easy to grow, earthy-tasting versatile vegetable which can even be used to make cakes - don’t confine beautiful beetroot to a jar of vinegar! In season in the UK across summer and early autumn. Follow a recipe; follow food safety & hygiene rules; tidy away; use measuring spoons and cups; use balance/digital scales; chop using bridge/claw safely; use a vegetable peeler safely; crush garlic; use a citrus squeezer. Knife, Chopping Board, Food Processor, Bowl, Spoon. Put all of the ingredients into a food processor and whizz together until you have a coarse paste. Spoon into a dish and serve with raw vegetables (e.g. cherry tomatoes, cucumber & carrot sticks, pepper sticks) and bread of your choice - especially nice with toasted wholemeal pitta bread cut into fingers. 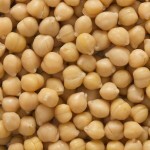 Chick peas are legumes and like other legumes (beans, peas and lentils) they are packed with protein and fibre. They are also low in calories and fat and contain a number of minerals which are thought to be hugely beneficial to our health. 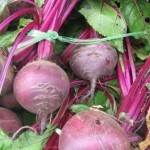 Beetroot is so good for us! Low in calories and high in fibre and phytochemicals (anthocyanins and saponins) thought to lower the risk of heart disease.